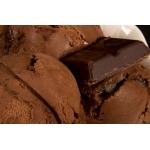 Double chocolate, real dairy ice cream with loads of chocolate chips and a thick chocolate ripple throughout. We think it's pretty near perfect! If you like a serious chocolate hit, then this one is for you. 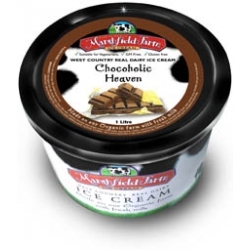 • Natural Chocolate ripple (5%) (sugar,water,glucose syrup,cocoa powder,cocoa butter,stabilisers:guar gum,xanthan gum, carob gum, Acidity regulator: Citric acid, Flavouring, Emulsifier: Soya Lecithin). •Nutritional Infoeal dairy strawberry ice cream, swirled with real strawberry pieces and double cream.